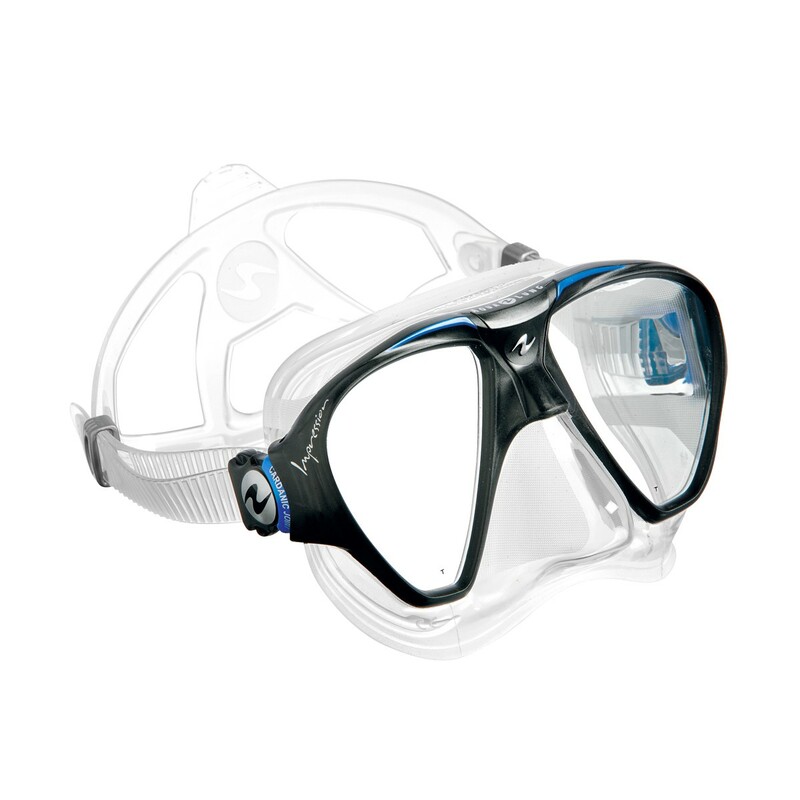 Aqua Lung "Impression" Double Lens Dive MaskYou will remember their first Impression! 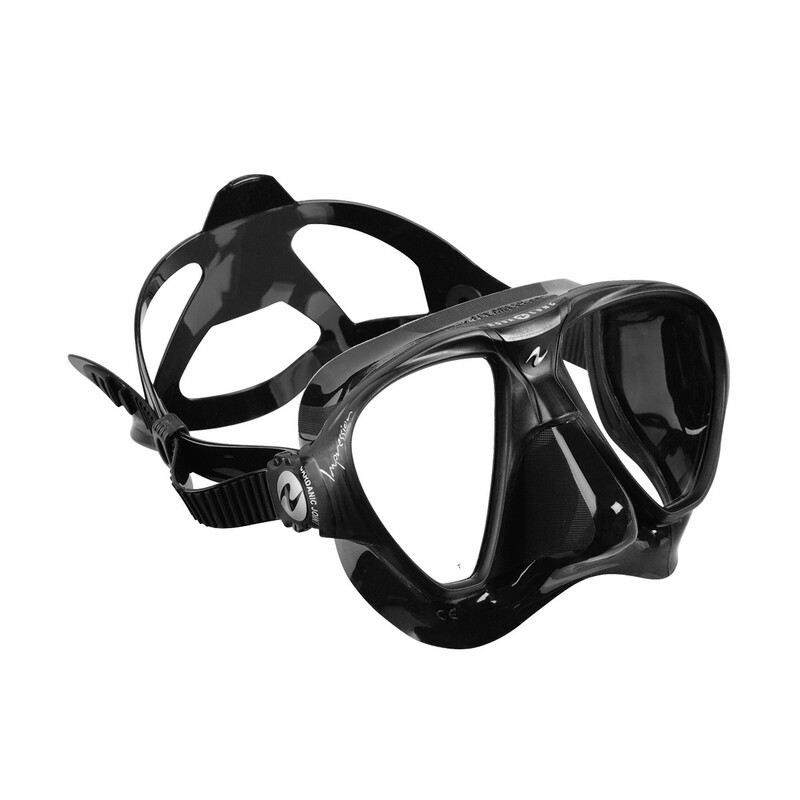 This mask uses the latest technologies to provide the ultimate in form, fit and function. Using Micromask technology, the Impressions, lens, skirt and frame are molded together in one shot as opposed to other masks where multiple pieces are snapped together. This allows the lens to come close to the face which maximizes the field of vision. Low volume means that the mask is easier to clear and reduces the buoyancy Advanced Fit Technology (AFT) uses bands of different textures around the edge of the skirt resulting in a superior seal against the face The mask skirt goes further back on the face increasing the contact surface between face and silicone skirt. This enhances the comfort and reduces the marks left behind on the face. 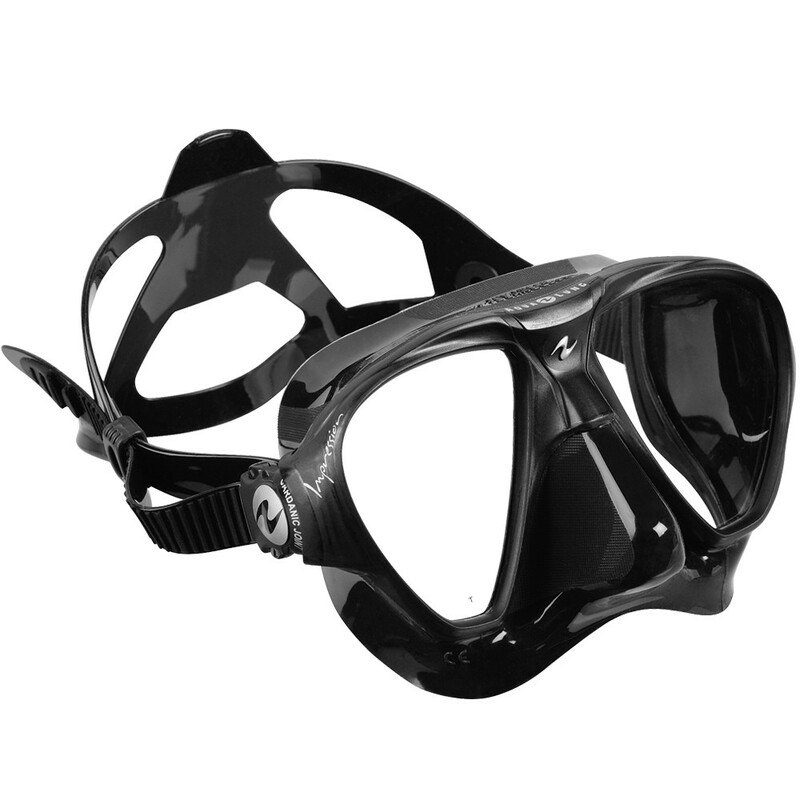 • This mask uses the latest technologies to provide the ultimate in form, fit, and function. This low profile mask is a pleasure to use. Its super easy to clear and your field of vision seems to go on forever. This is a very comfortable mask to wear. I got this mask about a year ago and love it. The vision in this mask is amazing. I love the fit and it is so lightweight you hardly know you are wearing it. It is medium sized and fits the average size face.